For an in-depth description of the courses offered at Balfour, please see our course calendar by clicking here. Students have the privilege of having a tutorial class in Grade 9, 10, 11, and 12 to assist them with learning difficulties or difficulties with time management and organization. Students with diagnosed learning challenges are welcomed into Tutorial classes and are expected to take advantage of the support of the Learning Resource teachers and technology. Please contact the school to inquire further about Learning Resource. Balfour Arts Collective is an innovative, one-of-a-kind program for students who have a desire to complete their high school diploma with a fine arts focus. Students will further their skills in dance, drama, or visual art while receiving a well-rounded arts education. Collective students embrace all artistic opportunities regardless of their skill level and personal experience. The program fosters a sense of belonging that enables students to take risks, feel empowered and engage confidently. 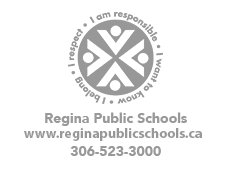 As part of Regina Public Schools, Balfour Arts Collective believes that students who are engaged in their learning will achieve greater success. This unique opportunity is only available at Balfour Collegiate and open to any student in Regina. In English Language Arts students will read, write, speak, listen, view and represent as well as practice reading strategies, develop technology skills and use inquiry practices. Students are exposed to a variety of contemporary and traditional works, including those from Indigenous and other cultures. These are the skills, abilities, and experiences students need to understand and practice in order to be successful in high school, and become long term, critical readers and writers. As an English department we will offer students opportunities to practice, we will give students feedback, and we will help students learn; it is students’ responsibility to practice and perfect these outcomes over the course of the school year. Balfour Collegiate offers a full range of Mathematics and Science courses. In addition we offer AP Calculus, and beginning in the 2019-2020 school year, AP Biology. The aim of the Social Sciences in grades 9-12 at Balfour Collegiate is for students to have a sense of themselves as active participants and citizens in an inclusive, culturally diverse, interdependent world and to know and appreciate the past, understand the present, influence the future, and to make connections between events and issues of the past, the present, and the future. As a community, Balfour remains committed to learning about and teaching for an understanding of treaties and the treaty relationship. We are also committed to the ongoing work of teaching toward truth and reconciliation which includes responding substantively to the TRC calls to action. This work is central within our social science classrooms. The Shirley Schneider Support Centre, located within Balfour Collegiate, is an alternative high school setting for pregnant and/or parenting women between the ages of 14 and 21. Our mission is to provide a safe and welcoming environment where young women are provided with the academic and social supports necessary to obtain their high school education. We offer a Regular 24 Credit graduation route as well as an Adult 12 program, which are dependent on the individual needs of the student. Obstacles and challenges can arise as our students navigate through the responsibilities of raising children while attending school, and we offer a multitude of supports to assist our students in these areas. Students have access to health supports: immunization, prenatal class, and a nurse practitioner. We also offer cost-free daycare, nutritious meals/snacks, parenting support, and Teen Parent Workers who assist students with any non-academic struggles they may face. Auto mechanics - This course will introduce students to basic mechanical concepts used in automobiles, safety and hand tools. Communication media -This course will introduce students to a variety of computer programs used in animation, video, and audio creation. In addition, students will learn about the fundamentals of digital photography and editing. Cooking - This course will introduce the student to safely preparing meals and is meant as an introduction to Commercial cooking 10. Welding - This course will introduce students to the basics of welding. It will include safety practices and learning the basics of welding. Woodworking -This course will introduce students to the basics of woodworking. Students will learn how to safely use hand and power tools as well as the CNC carving machine while making a small box.